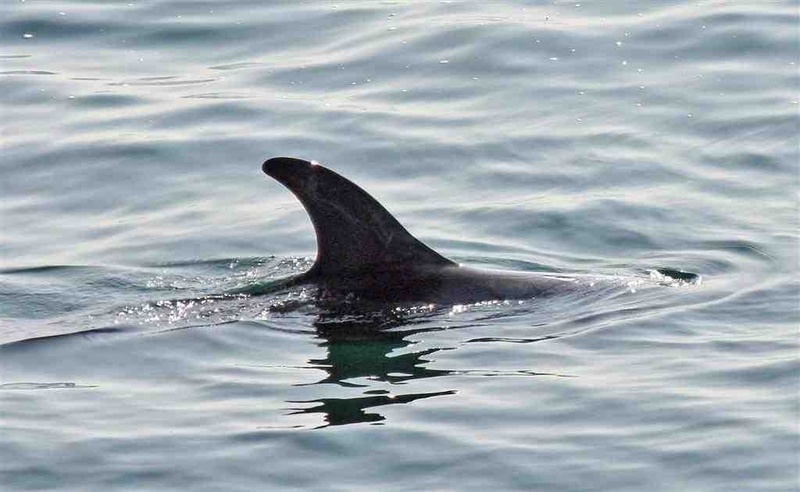 Manx Basking Shark Watch | Craig Whally: Mad Sunday 2007 Surfing Basking Shark! Whilst kayaking around Fleshwick bay I spotted two shark fins about one mile out. I was surfing the small waves and heading towards the sharks at a speed of about 5 to 6 knots when I heard what I thought was a breaking wave behind me. The sound of the wave lasted longer than usual so I looked around to see what was going on, what I saw was a shark surfing on the same wave as myself, nearly resting its nose on the stern of my kayak. I kept paddling and the shark kept following! When I eventually slowed down he stayed with me for a minute or two allowing me to take some under water video footage. He then came along side the kayak before diving down – that was the last I saw of him. Craig Whalley There will be a video clip of this put on the photo section soon. Unfortunately the actual moment was too critical to be caught on video but the video is of the same shark!